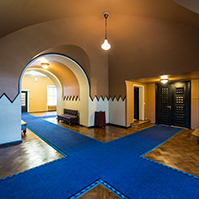 Prime Minister Andrus Ansip made a political statement to the Riigikogu in connection with the submission of the next year state budget and this year supplementary budget. The next year budget’s amount of revenue is EEK 96.3 billion and the amount of expenditure EEK 93.6 billion. Ansip said that the new government coalition will firmly continue the conservative budgetary policy. 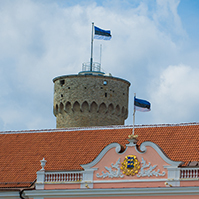 “The fact that we have managed to keep the finances of our country in order is one of the main factors that has made the economic environment of Estonia reliable and such rapid economic development possible,” stressed the Prime Minister. 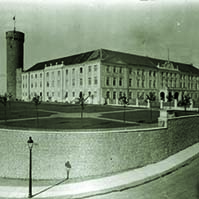 “Last year at the same time we were happy to have for the first time in the history of our state a budget that was planned with strong surplus, with 1.1 billion kroons on the plus side, but the bill that was submitted by the Government to the Riigikogu today includes a surplus of nearly 2.7 billion kroons in the budget of 2008,” said Ansip. In total, EEK 3.6 billion or 13% of GDP have been planned for the government sector surplus. It is the same amount that was planned for 2008 in the convergence programme submitted to the European Commission last autumn. “I believe we have found reasonable balance between saving and investing”, said the Prime Minister. The supplementary budget of 2007 amount of revenue is EEK 6.2 billion and the amount of expenditure is EEK 2.7 billion. “3.5 billion, it means nearly 60% of the budget’s extra revenue, will be appointed to the reserves,” said Ansip. In drawing up the supplementary budget the Government has taken into account that the expenditures of the surplus budget should not incite domestic demand and consumer boom on the Estonian market. 2.4% of GDP, which is 0.5% more than the 1.9% planned in the state budget strategy in spring, is planned for the government sector surplus in 2007. The largest expenditure article of the supplementary budget is allocations to the Health Insurance Fund, EEK 1.09 billion. The government wants to allocate supplementary EEK 537 billion to cover the pension increase of 1 July. After the Prime Minister, members of the Riigikogu Vilja Savisaar and Eiki Nestor took the floor. The Riigikogu adopted with 75 votes in favour the Motor Third Party Liability Insurance Act, Insurance Activities Act and Traffic Act Amendment Act (48 SE), initiated by the Government of the Republic. The Act introduces the amendments proceeding from the directives of the European Parliament and the Council directives into the Acts in force. The most prominent change is the increase of the limits of compensation to 1 million euros in case of property damage, and 5 million euros in case of personal injury per insured event, regardless of the number of injured parties. The Act will also change the requirement to have the insurance policy at hand and submit it on paper; in the future the cover will be checked via motor third party liability insurance register. In the future it will be enough to have the contracts and policies in the format which can be reproduced in writing. Bill on Amendments to the Penal Code (74 SE), initiated by the Government. Pursuant to the European Parliament and Council Directive that deals with the marine pollution caused by ships and imposing punishments for damages connected with marine pollution, the Republic of Estonia has an obligation to include the regulation stipulated in this Directive in its domestic legislation. 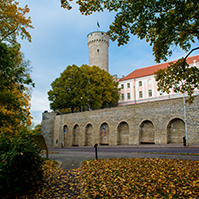 The Bill establishes the necessary amendments enabling the Republic of Estonia to fully implement the principles of the directive. 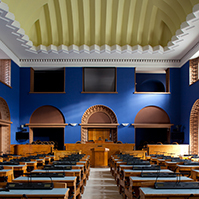 On the motion of the Environment Committee: Bill on Amendments to the Environmental Charges Act (83 SE), initiated by the Estonian People’s Union. The result of voting: 46 votes in favour, 36 against. On the motion of the Constitutional Committee: Bill on Amendments to § 8 of the Persons Repressed by Occupying Powers Act (53 SE), initiated by the Estonian Centre Party Faction The result of voting: 47 votes in favour, 35 against. 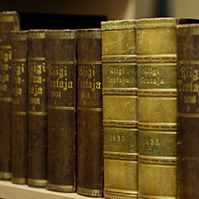 On the motion of the Constitutional Committee: Draft Resolution of the Riigikogu on the Formation of the Riigikogu Committee of Investigation to Ascertain the Reasons for the Sinking of the Ferry Estonia and the Related Circumstances (84 OE), initiated by the Estonian Centre Party Faction. The result of voting: 49 votes in favour, 30 against. At Question Time Prime Minister Andrus Ansip answered the questions about the flow of information, Estonia belonging among five most unequal states, safety of the civil population of Iraq and the state budget. Minister of the Interior Jüri Pihl answered the questions about the situation of rescues services and land transactions. Minister of Social Affairs Maret Maripuu answered the question about pension policy.